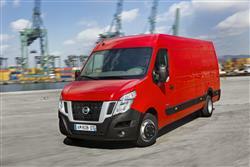 Initial payment of £2,010 +VAT followed by 35 monthly payments of £335 +VAT. Based on 10000* miles per annum. 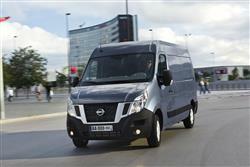 Nissan's NV400 offers a versatile and practical choice to those looking for a large van. There are five different versions of its 125bhp 2.3-litre dCi diesel engine and the choice of both front and rear-driven configurations. 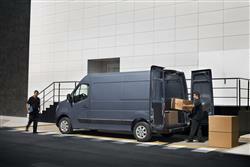 Plus extra hi-tech features and the usual range of body styles, load volumes and options. In other words, it remains a class act. 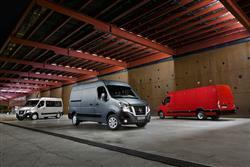 Nissan has big plans for vans. 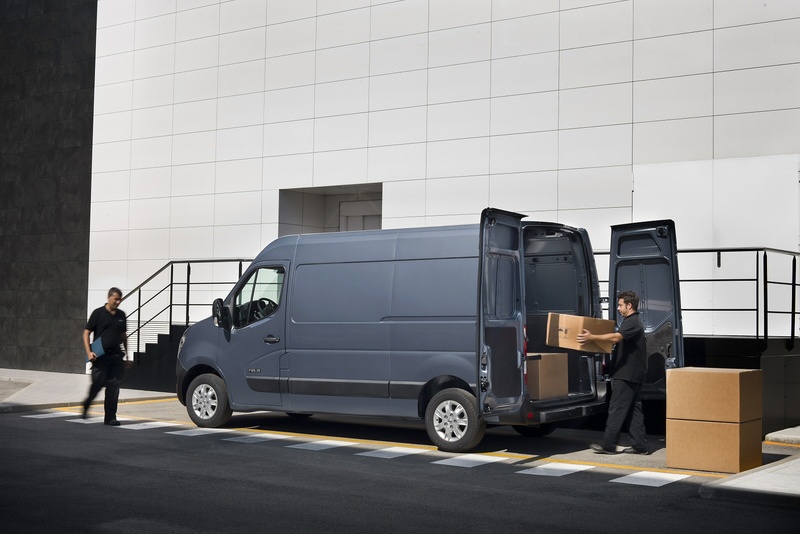 Previously a minor player in the LCV sector, the Japanese company's influence in this segment has been slowly growing over the last few years following the well received launch of the compact but surprisingly spacious NV200 model in 2010. 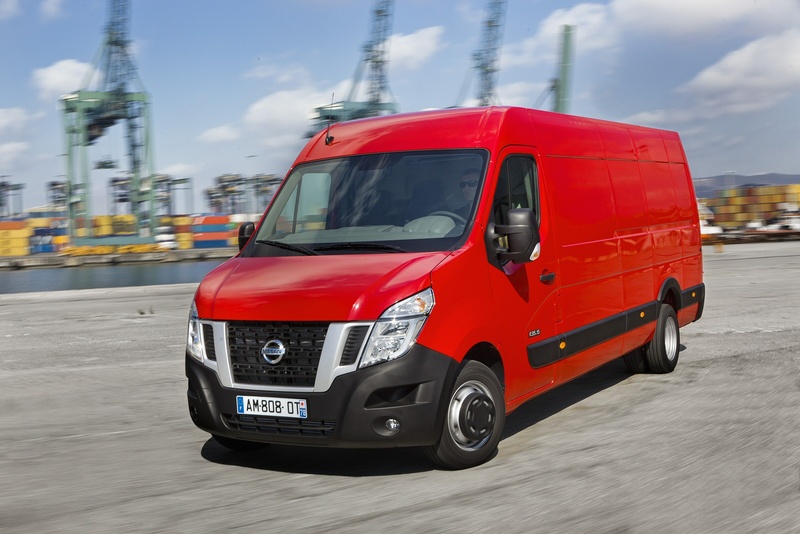 This was Nissan's own work, but the brand has returned to its traditional partners, Renault and Vauxhall, for help in developing the most sizeable model in its LCV range, this vehicle, the NV400. 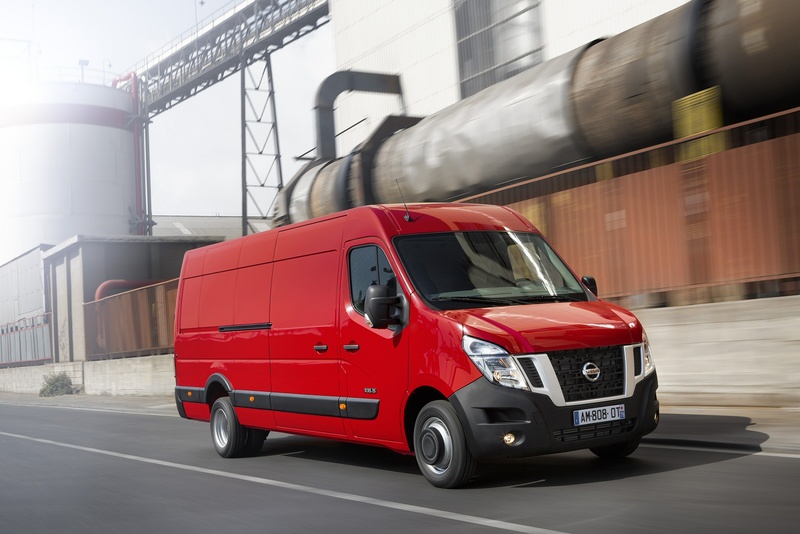 If you've tried the Renault or the Vauxhall versions of this design, then you'll already know that it's a very competitive platform indeed, up with the class leaders when it comes to practicality and running costs. 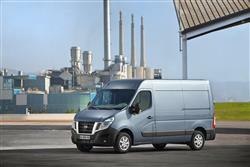 To this, the NV400 adds sharp pricing, distinctive looks, a huge range of model options and some clever hi-tech gadgetry. Will it all be enough? Let's find out. 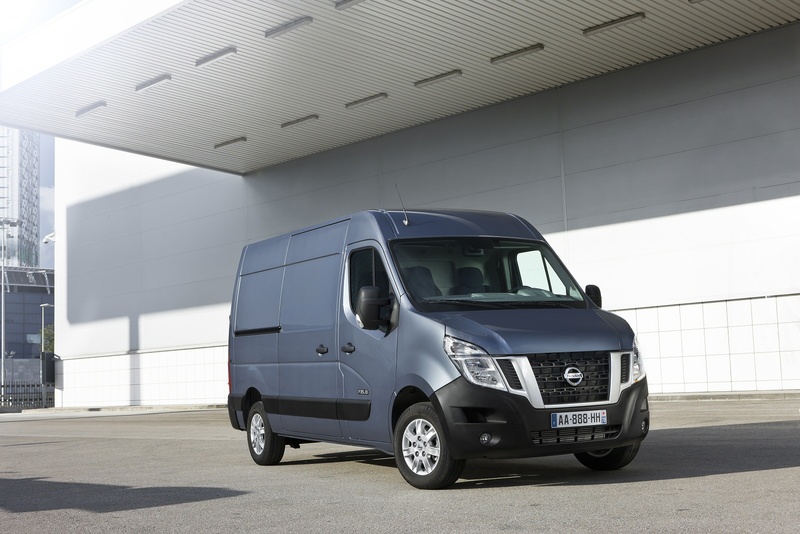 Some the most significant changes can be found behind Nissan's familiar grille where the range of dCi engines has grown to five, offering more performance and greater refinement. But despite the power increases, fuel economy is actually better than before. All have a common base - a state-of-the art 2.3-litre common rail/direct injection, four-cylinder, 16-valve turbo diesel developed by Alliance partner Renault. A pair of single turbo units produce 110hp/285Nm (previously 100hp) and 125hp/310Nm and these are joined by a pair of newly developed Twin Turbo units, developing 135hp/340Nm and 165hp/360Nm. Also available is a 150hp/350Nm version of the engine that has a variable geometry single turbo and is available only with a robotised semi-automatic gearbox. 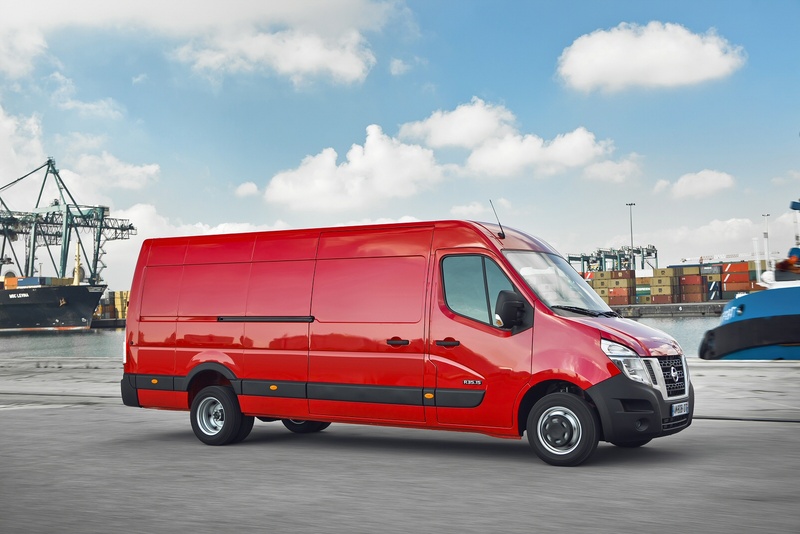 The new Twin Turbo models are seen as ideal for vans and chassis cabs needed for heavy-duty work or for longer journeys. The technology uses a small turbocharger to generate increased torque at low revs (up to 1,500 rpm) for more rapid acceleration at city speeds or when fully laden. At higher engine speeds, the larger turbo takes over to provide more power and a usefully wider torque band that is especially appreciated at motorway speeds. Thanks to this increased flexibility, there is less need to change gear to maintain momentum. 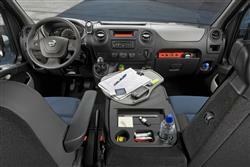 This not only reduces driver fatigue but also enhances fuel economy. 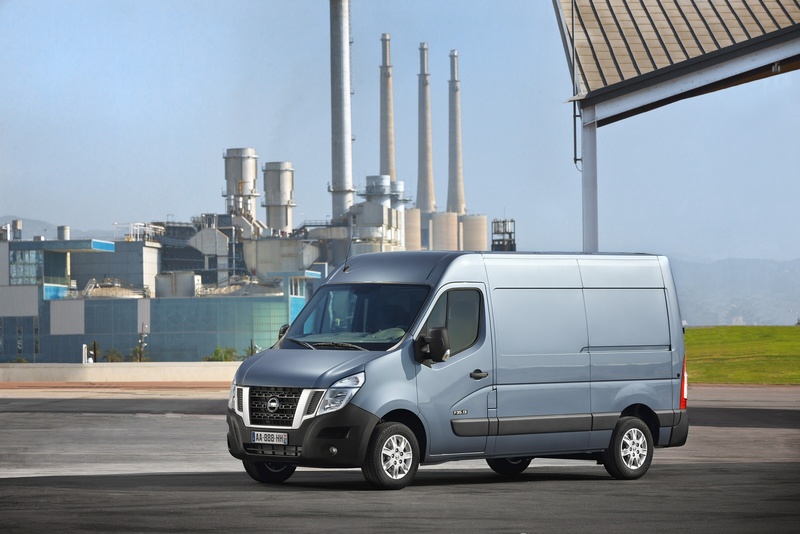 Aware that they would need to share Renault and Vauxhall underpinnings for this model, Nissan went to particular trouble to style their version differently - and sure enough, this NV400 does have a distinctive look. 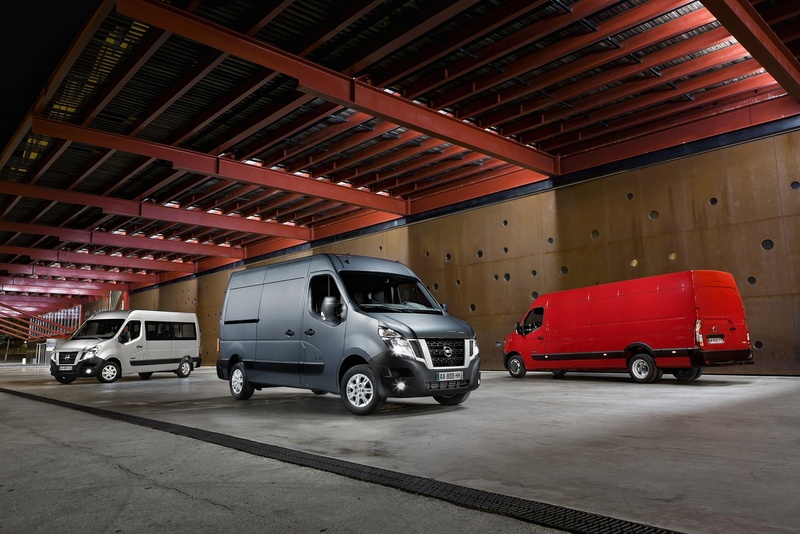 The styling was completed at Nissan Design Europe in Paddington and engineered by Nissan's Technical Centre in Bedfordshire, so there is a distinctly UK-based approach to the whole thing. A thick bumper adds aggression to the front end, curling up at the edges to protect the corners from knocks. There are also useful steps cut into the front bumper so that owners can get a leg-up when cleaning the windscreen. Side rubbing strips are a boon along the flanks too. And inside? Well, the cabin isn't anything too exciting, but the stubby gear lever that sprouts from the fascia falls nicely to hand amidst the usual sea of tough and durable elephant grey plastics. Newly introduced hi-tech features include Hill Start Assist, Trailer Sway Control and a dashboard-selectable 'extended Grip' feature to ehance traction in tricky conditions. Here's also Hill Start Assist, a wide view mirror to help wih parking, a Tyre pressure Monitoring system As before, both seat and wheel can be height-adjustable and there's now a minefield of storage options inside the cab (150 litres in total), from the usual door bins, overhead shelf, cup holders, chilled glove boxes and cubby holes to compartments for laptops and sunglasses, plus an optional clipboard that folds out of the dash for holding invoices, maps or delivery notes. Prices range in the usual £25,000 to £30,000 bracket common to pokier examples of this class of large van. 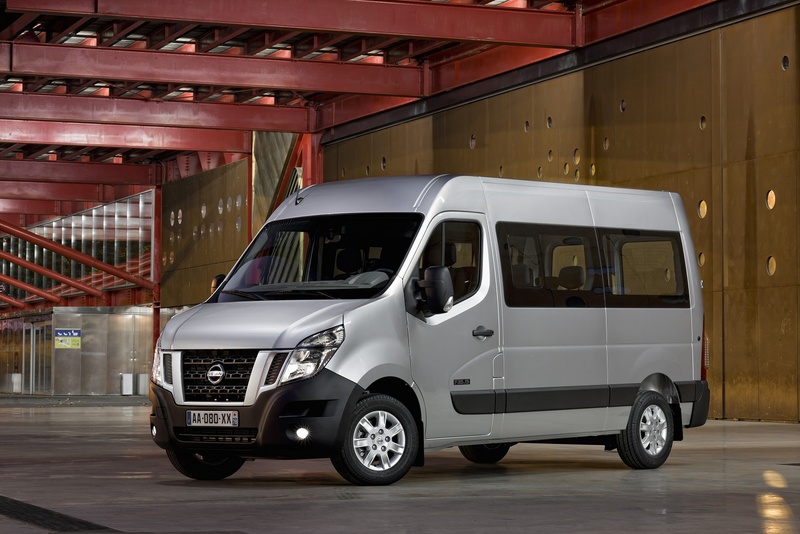 As you'd expect, that's pretty comparable with 125bhp rear driven versions of this model's design stablemates, the Renault Master and the Vauxhall Movano. 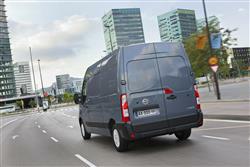 Nissan can supply a huge array of NV400 variants. 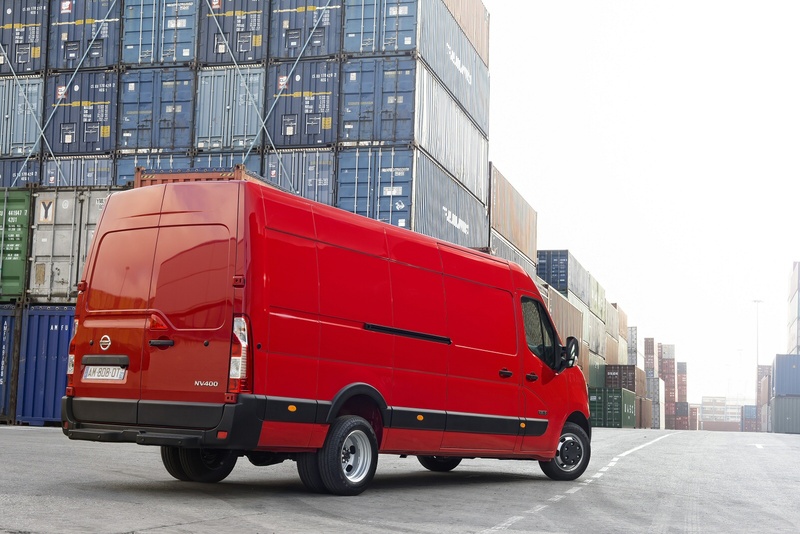 As well as the factory-built panel vans and combis, offered with front and rear wheel drive, there are crew vans, box-bodies, tippers and dropsides, all built in-house. 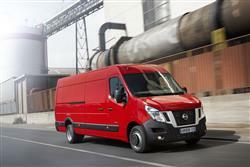 The brand also offers a chassis-cab for specialist body builders. Most customers though, will want a simple van, for which you're likely to pay somewhere in the £26,000-£30,000 bracket. 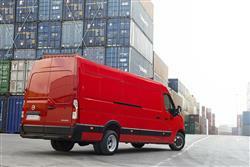 Next, you've the decision to make on gross vehicle weight - either 2.8, 3.3, 3.5 or 4.5 tonnes. Before you go on to choose one of three height options (H1, H2 and H3) and select between three wheelbases and two lengths (L3 and L4). 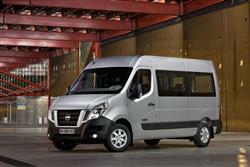 If you�re looking for a new Nissan Nv400 F33 L2 Diesel 2.3 dCi 130ps H2 SE Van for sale, you�ve come to the right place. At Bristol Street Motors we don�t just have the best Nissan Nv400 F33 L2 Diesel 2.3 dCi 130ps H2 SE Van deals, we also offer friendly advice and help with all your enquiries to ensure your buying experience is a happy experience.